I love tattoos! Both temporary and permanent. What are the benefits of getting a temporary vs a permanent tattoo? Well, obviously, you can remove it when you choose to, you can put them anywhere you like, you can have as many as you want, they cost way less money, and best part----they're pain free. Not all temporary tattoos are the same. There are the cheaper quarter machine tattoos or ones you find in kid stores. 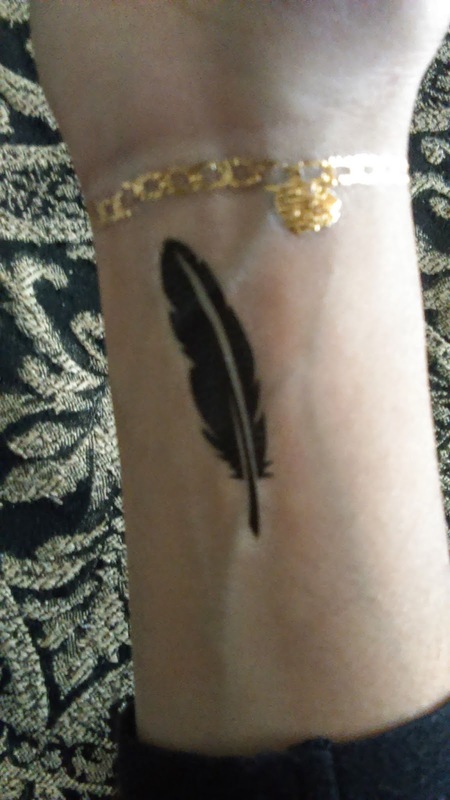 There are also glitter tattoos, henna tattoos (which are a bit harder to remove than your typical temporary tattoos, but still awesome), and there are also more modern and unique temporary tattoos, like the ones available from Voodoo Tattoo. I was sent the Petra Tattoo Goddess Set. 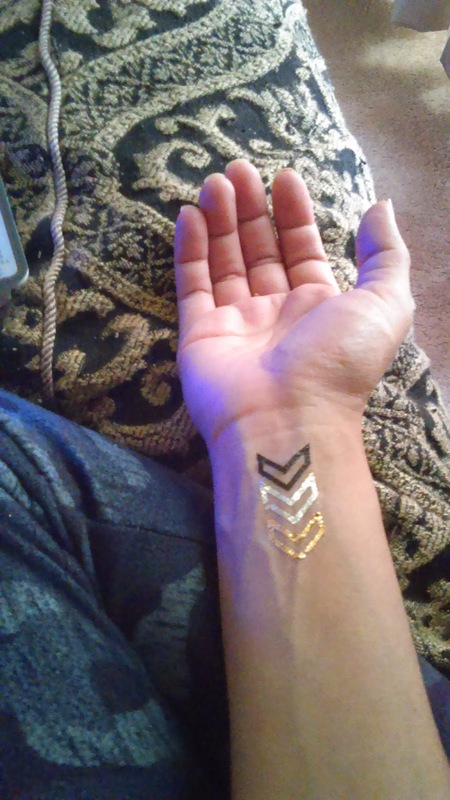 These temporary tattoos are really cute. 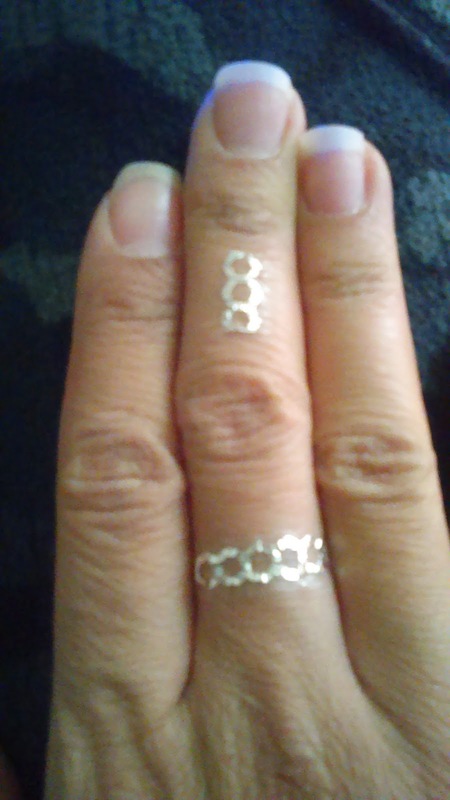 They're very easy to apply the way that you you would normally apply a temp tattoo. You just need to hold it in place where you want it to go, use some water, continue holding it in place, and after about 15-20 seconds, just remove the paper. I like how shiny these tattoos are. 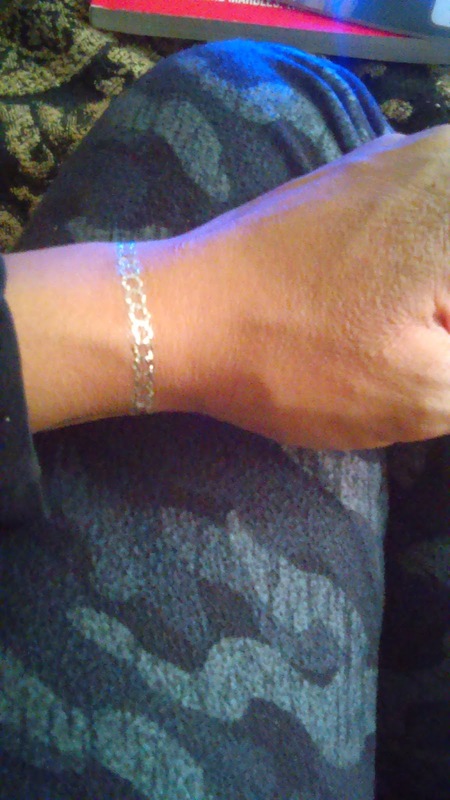 They stand out and look almost look like real jewelry. I have been applying these tattoos everywhere. They're really fun. A suggestion of mine, if you wear these---let them completely dry and be careful not to touch them right away. I did this and a couple peeled off a little. The ones I let dry lasted a few days. One of my favorites is the feather. Love it. Well, I love them all. I'm happy with these neat little tattoos. You can purchase a set of these tattoos on Amazon. 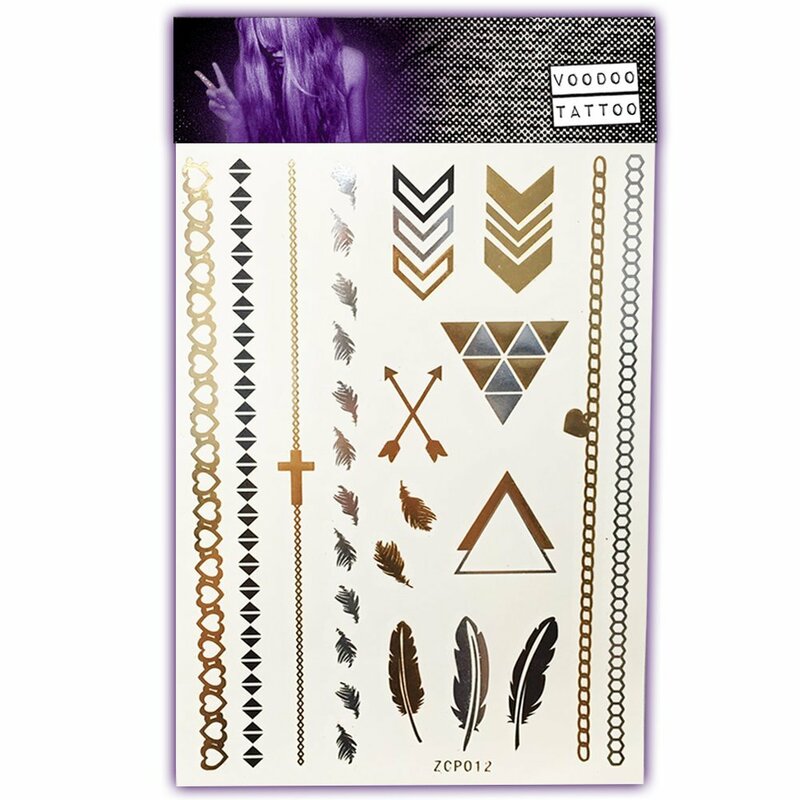 There are a few really cool, different tattoo sheets to pick from. Want to Win Your Own Set?? Enter the free giveaway below for your chance! Ends 2/25/15! So hurry and enter.